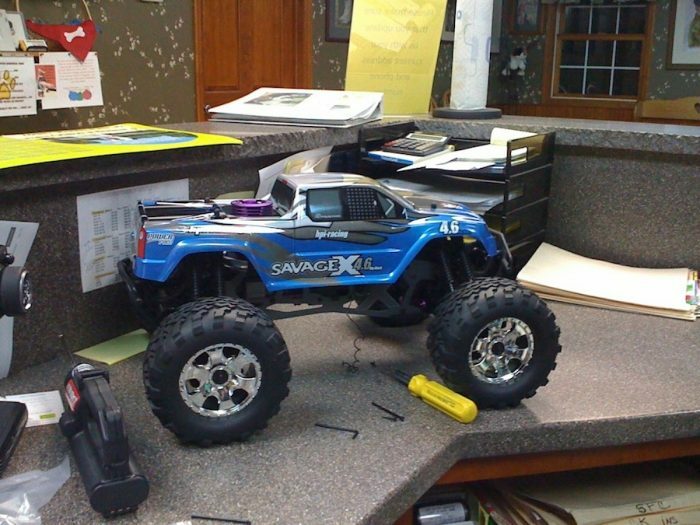 Back in 2009, I bought a HPI Savage, a 1/8th scale monster truck RC car. I beat the crap out of it. I ran into things, I took it off jumps. It flipped, rolled, and crashed. It didn’t stay upright very much. I finally stopped running it because it sounded like it had a bad bearing. I didn’t know which once, and I couldn’t pinpoint which one it was. The plan was to buy a kit to replace all the bearings with new and better ones. I never got around to it, so the truck just sat in the corner for a few years. 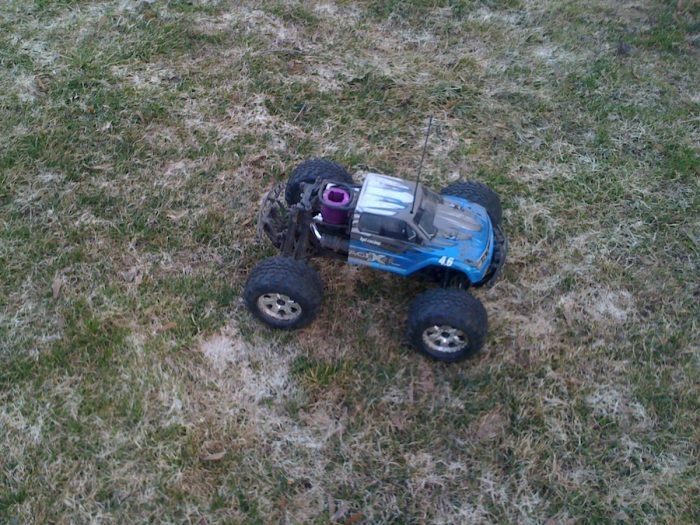 After looking at RC cars again this week, I decided I wanted to get it running again. Turns out, there was still some nitro fuel in the engine from the last time I ran it. All that time sitting in the corner had gummed up the engine. Complete RC teardown ensues. It is now in pieces on the dining room table. I need to order a few parts that were broken or missing, but I’m hoping that I can get the engine back together and get it running again.